This book goes far beyond the military manuals in depth and scope, using words and over 600 pictures to clearly guide you through every operation required to support your M14/M1A . Youll learn the best and easiest ways to enhance, disassemble and assemble your rifle. It wont make you an M14/M1A armorer, but it will make you a knowledgeable owner. Youll be able to do more with (and to) your rifle. Youll also be able to better judge the competence of those you choose to work on your rifle, and to discuss your needs more intelligently with them. In short, youll know your M14/M1A inside and out. Also included are instructions for installing National Match rear sights, a tutorial on tuning your trigger to National Match standards, a discussion of John Garands contributions to the M14, and several 21st Century enhancements. 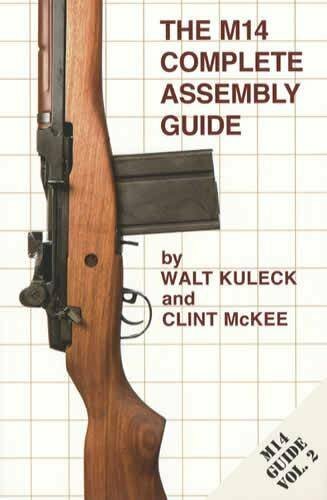 The M14 Complete Assembly guide is 6 x 9, is Perfect bound laminated soft cover, and has 250 pages and over 600 photographs.